Michael Bossart is the CEO at KW Commercial Texas Gulf as well as the managing broker for Keller Williams Memorial located in Houston. Michael was born in Lake Tahoe and graduated from the University of Nevada, Las Vegas in 1993 with a degree in marketing. 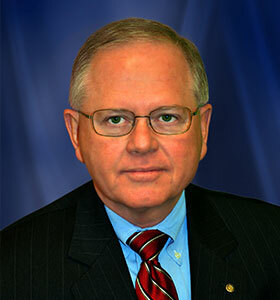 Michael Bossart became the president of Fidelity National Title, San Antonio division in 2005. In his first two years, he expanded the operation from 17 employees in 2 locations to 36 employees in 4 locations which resulted in record profits for the company. In 2008, Michael took over the helm at Keller Williams Memorial with an agent count of 151 and with the Market Center struggling to break even. Using his knowledge in marketing and his extensive real-life experience in the real estate industry, he continued to build the office and within a year, the Market Center saw constant, increasing profit. Keller Williams Memorial now has 370 agents and growing, both residential and commercial, and the Market Center has been profitable every month since he took over as the Team Leader. Michael Butler Joined KW Commercial in 2010 and was key to the creation of KW Commercial Texas Gulf. Michael came to KWCTG with broad experience as an Industrial, Commercial, Investment and Farm and Ranch broker and appraiser. 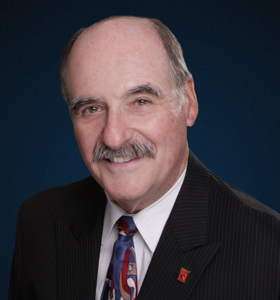 Michael, a native Houstonian, began his career as an industrial real estate broker in 1968. He has an extended range of experience in the representation of major heavy manufacturing, oil patch, offshore drilling & exploration, office, retail, multi-family, hospitality, and other business real estate clients. He has been the representative of foreign industry as well as foreign government business interests in Texas. He is a real property ad valorem tax agent handling special industrial and commercial issues on a selective basis. Michael attended Sul Ross University and the University of Houston. He has built a very strong marketing center of influence and a large domestic as well as international client base during his 46 years of experience. 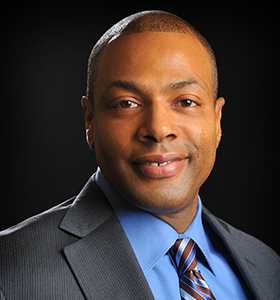 Although based in Houston, his primary geographic areas of operations are Texas, Louisiana, and Mexico. His real estate career began in 1975 as a commercial agent with Tenneco Realty, leasing the then recently built 47 story, 1100 Milam Building’s office space and tunnel retail in downtown Houston. Acquiring his Texas real estate Broker’s license in 1977, Mr. Landin’s responsibilities expanded to Leasing Manager for the then Tenneco Building and related retail, additionally acquiring overflow office space for Tenneco, Inc. outside of the Tenneco holdings. Wayne represented numerous buildings in downtown Houston including First City Tower, Wells Fargo Plaza, Houston Center complex, and Greenway Plaza until 2001. Also, during this time he was affiliated with two general brokerage houses, providing commercial brokerage in the areas of retail and industrial in southeast Houston. In 2001, Mr. Landin joined a national developer to perform site selection for Walgreens. Primary responsibilities included identifying, assembling, and acquiring parcels for Walgreens and related retail development, which also included analysis and disposition of these assets; while also acquiring land and assisting with two residential development programs. Landin Interest, Inc., established in 2008, is a reflection of 39 years of Wayne’s commitment to the commercial real estate industry with the spotlight on industrial and retail markets and distressed bank REO properties. Mr. Landin’s association with KW Commercial and appointment as a director for KW Commercial Texas Gulf speaks to his expertise and enthusiasm as a Commercial Broker. 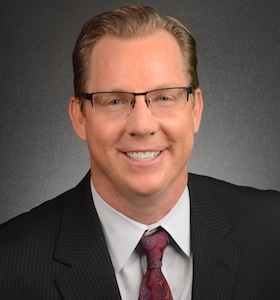 Additionally, he is a past president and current board member of Gulf Coast Commercial Real Estate Network (CREN) and Bay Area Commercial Real Estate Network (BACREN) – organizations focused on commercial real estate education and marketing. Mr. Landin is also included on the short-list of invited guest to the National Society of Exchange Counselors’ national marketing sessions. Courtney Lane has successfully represented a significant number of sellers, buyers, landlords, and tenants in all areas of commercial real estate. His current client base is focused in the areas of leasing, acquisition and disposition of land, office, retail, and industrial properties. Before joining KW Commercial Texas Gulf in 2007, Mr. Lane attended the University of Texas where he acquired a degree in Finance. He moved to Houston to independently practice commercial real estate where he developed a broad and diverse base of work experience in the disciplines of retail and industrial investment analysis, and tenant/landlord representation. Courtney’s education and commercial real estate and business experience provides a solid foundation of skills in negotiation, time management techniques, and analytical thinking. Pius was born and raised in Hong Kong and came to the States in 1977. He moved to Houston in 1982 after graduating from the University of Mississippi with both a Bachelor and Master of Accountancy degrees. Pius received Honorary Doctor of Finance in 2004 from the University of International Business and Economics in Beijing, China. Pius specializes in real estate investment consulting to investors around the world. He was the Chief Administrative Officer and Managing Director - Americas of the ARGUS Software, Inc. from 2006 to 2013. Pius is a CCIM (Certified Commercial Investment Member), a CPM (Certified Property Manager), a Member of the Royal Institution of Chartered Surveyors (MRICS) and a CIPS (Certified International Property Specialist) and a Fellow of the Institute of Leadership and Management. He served as the President of the CCIM Institute in 2005, the 39th president of the CCIM Institute and the first ever president born outside the United State of America. He served on the executive committee of the National Association of Realtors, the world’s largest trade association with membership over 1.1 million, in 2006 and 2007. 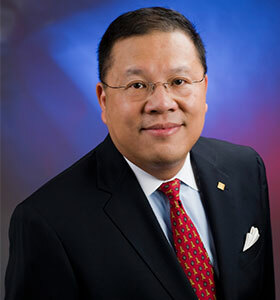 Pius is the founding member of the Asian American Real Estate Association, previously known as Greater Houston Chinese Real Estate Association in 1995 and served as the Treasurer of the Asian Real Estate Association of America, as well as serving on its Board of Directors from 2004 – 2007. Pius is a senior faculty member of the CCIM Institute and faculty emeritus of the Institute of Real Estate Management (IREM). He is currently holding the title of visiting professor of the School of International Economic and Trade of the University of International Business and Economic in Beijing, China. 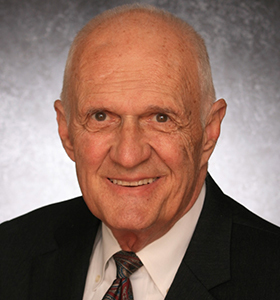 He served as Adjunct Professor of the Jones Graduate School of Business of the Rice University and Bauer School of Business at the University of Houston in the past. He has teaching experience around the world in countries such as Czech Republic, Poland, Russia, Japan, Mexico, Korea and China. The Houston Association of Realtors named him the International Realtor of the Year in 1998 and the Realtor of the Year in 2002 and the National Association of Realtors awarded him the CIPS Instructor of the Year in 1999. The Houston/Gulf Coast CCIM Chapter named him 2004 CCIM of the Year. 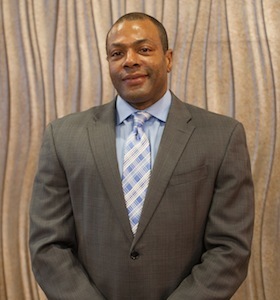 Richard Pevey began his real estate career in the home building industry. In the late 1970s, he became president of Kickerillo Company. He later formed and managed Inwood Homes, Inc., Logan Ventures, Inc., and Partners in Townhomes, Inc. Richard also developed mixed-use single-family subdivisions, which included retail development. Creekside subdivision is one example of the more recent of his development activities. He was involved in the site selection, development, and sale of over fifteen apartment projects in seven states with a Texas apartment company. He was also involved in the purchase, rehabilitation, management, and ultimate sale of over 4,500 apartment units. He has brokered numerous tracts of land as well as retail centers and office buildings—both added value and preservation of capital. Superior, knowledgeable professionals dedicated to finding the best commercial real estate location for your growing business. KW Commercial Texas Gulf and all affiliated agents are licensed as either brokers or salespersons by the Texas Real Estate Commission. Real estate agents affiliated with KW Commercial Texas Gulf are independent contractor sales associates and are not employees of KW Commercial Texas Gulf.